These iced buns celebrate the very British flavours of elderflower and apple. For this recipe you will need a freestanding mixer fitted with a dough hook, 4 baking trays and disposable piping bags. For the elderflower dough, put both flours in the bowl of a freestanding mixer fitted with a dough hook. Rub in the butter using your fingertips then add the salt to one side of the bowl and the yeast to the other. Warm the milk to about 40C (if you don’t have a kitchen thermometer, gently heat the milk until warm to the touch). 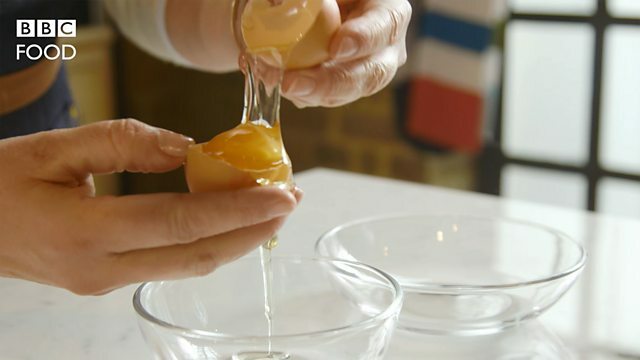 Add the eggs, warm milk, cordial and lemon oil to the bowl and mix slowly for a few minutes to combine. Increase the speed and mix for a few more minutes. Transfer to a large bowl and cover with cling film. Prove in a warm place for 1 hour, or until doubled in size. For the spice bun dough, put both flours in the bowl of a freestanding mixer fitted with a dough hook. Rub in the butter using your fingertips. Remove the seeds from the cardamom pods and take the heads off the cloves. Grind until fine in a pestle and mortar. Add to the flour mixture along with the salt, yeast, cinnamon and sugar. Warm the milk to about 40C (if you don’t have a kitchen thermometer, gently heat the milk until warm to the touch). Add 3 tablespoons water and mix. Add the eggs and warm milk to the bowl and mix slowly for a few minutes to combine. Increase the speed and mix for a few more minutes. Transfer to a large bowl and cover with cling film. Prove in a warm place for 1 hour, or until doubled in size. To make the lemon curd, put the butter, caster sugar, lemon juice and zest in a heatproof bowl and warm in the microwave until the butter has melted (alternatively put the bowl over a pan of simmering water). Beat the eggs and egg yolk into the lemon mixture. Place over pan of simmering water and stir until thick. Pass through a sieve and leave to cool. To make the apple and cranberry jam, put a plate in the freezer. Add the apples, cranberries, lemon juice and sugar to a pan. Simmer for about 10–15 minutes until the apples are soft. Bring to a rolling boil for a few minutes. To check if the jam has reached setting point, place a blob on the frozen plate and leave to cool for a few minutes – if the jam is ready it will wrinkle when pushed with your finger. If it doesn’t wrinkle, cook for a few more minutes then test again. Once the setting point has been reached, transfer the jam to a blender and blitz until smooth. Leave to cool. Once the doughs have been proved, divide both doughs into 12 equal pieces. Lightly flour 4 baking trays and a work surface. Roll each piece of dough into a ball and then into a sausage shape. Place 6 fingers on each tray and leave to prove again for 30 minutes, or until doubled in size. Preheat the oven to 205C/185C Fan/Gas 6. Bake the buns for 10–15 minutes, or until golden-brown. Remove from the trays and leave to cool. Once cool cut the buns in half lengthways. For the elderflower icing, combine the icing sugar and elderflower cordial in a bowl until a smooth, pourable consistency is achieved. For the cinnamon icing, combine the icing sugar, vanilla paste, cinnamon and lemon juice in a bowl. Add enough orange juice to make a smooth icing. To decorate, dunk the top halves of the elderflower and lemon buns in the elderflower icing. Dunk the top halves of the spiced buns in the cinnamon icing. To fill the buns, whip the cream with the icing sugar until stiff peaks form when the whisk is removed. Transfer to a disposable piping bag. Spread the jam on half the buns and the lemon curd on the other half, then pipe the cream on top. Sandwich the buns together using the respective iced tops. Serve immediately.